You can choose the best one for your plans from several travel dates between May 7 and August 19 2017. One can find several departure dates for the same price and others for a little more, but still on sale. If you like this offer, you might want to grab it while you can. Such offers may sell out in a minute! This package will resolve all your planning problems as it includes everything you need in one place: airfare, hotel and services. You will get a flight from Fort Lauderdale to Nassau and back, 3 nights stay at the all-inclusive Melia Nassau Beach resort plus taxes. Note that apart from the many travel dates one can choose from, you can also pick another departure city but the price of the package will probably be different. 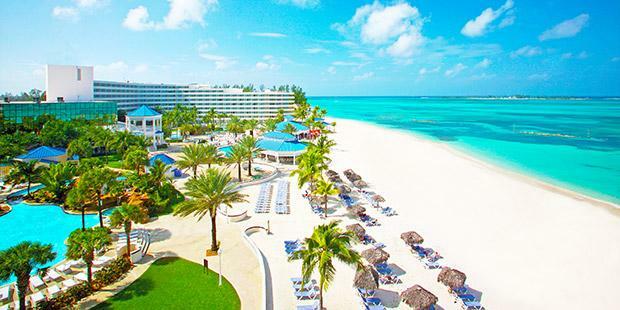 Melia Nassau Beach is a 4 star all-inclusive resort where you will get all meals, drinks, snacks, lots of things to do day and night, kid’s club, beach and pools, fitness room and many other things you will love about it. Choose another deal if you like, or search for offers from another Caribbean destination. Pick all the travel sites that you would like to compare, add the travel dates that suit you best and compare prices to finds tens of Caribbean vacation package deals. This entry was posted on Tuesday, April 11th, 2017 at 11:37 am and is filed under Top Deals, Vacation Package Deals. You can follow any responses to this entry through the RSS 2.0 feed. You can leave a response, or trackback from your own site.